Few outside the air crash litigation world know how the party system at the NTSB works. When an airplane crash happens, it isn’t just the NTSB investigator-in-charge who goes to the scene to investigate. Under NTSB rules, manufacturers’ accident investigators are invited as parties to the investigation. Thanks to former NTSB Chairman Jim Hall, a Rand Report indicted this procedure as allowing aircraft manufacturers who had litigation in mind to be the fox guarding the henhouse by influencing the accident investigation away from failures in their components. This is the reason that pilot error is virtually always the cause assigned by the NTSB for an accident. Well, in spite of good public money having been spent on the Rand study and the lessons that were supposed to be learned from it, the NTSB has taken the justly criticized party system a step further. The NTSB now permits the manufacturers of aircraft, whose accidents it investigates, to pass on promotions of NTSB air safety investigators to senior air safety investigator status. That’s right, in order to get a promotion at the NTSB, to advance in one’s career and receive more money and stature, the promotion hinges on approval from the people investigated. Put another way, if an investigator regularly finds a defect caused an aircraft accident instead of pilot error, he has essentially no chance of promotion. This has caused a furor among air safety investigators at the NTSB, some of whom who refuse to play ball with the manufacturers’ attempts to place the blame for every accident on the dead pilot. Unfortunately, what these guys don’t know is that the system is fixed against them. Compared to the aircraft manufacturers the air safety investigators are powerless. Not to worry! Nobody in the air crash litigation profession relies on the NTSB reports. 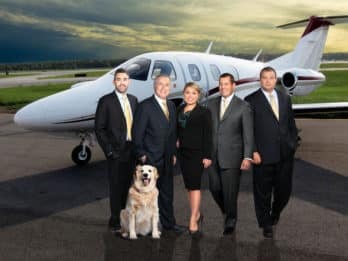 We do our own investigation, which is more thorough and we know more about these airplanes and why they crash than anyone at the NTSB, so good does triumph over evil most of the time. What is sad, however, is that the good guys who want to do the “independent” air crash investigation work that the “Independent Safety Board Act” was designed by Congress to accomplish are frustrated that their zeal to be independent is frustrated by a good ole boy network of Government and industry that stacks the deck against them. So much for the promised return to integrity in Government!